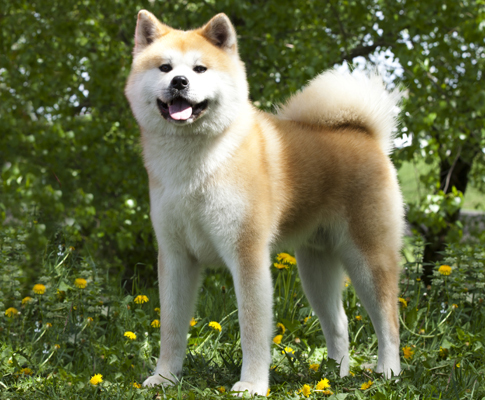 The Akita is the largest of the Japanese Spitz-type breeds. It’s a powerful, solid, muscular, well-proportioned and distinctive looking dog with a flat, heavy head and strong, short muzzle. This breed has webbed feet and is a very strong swimmer. 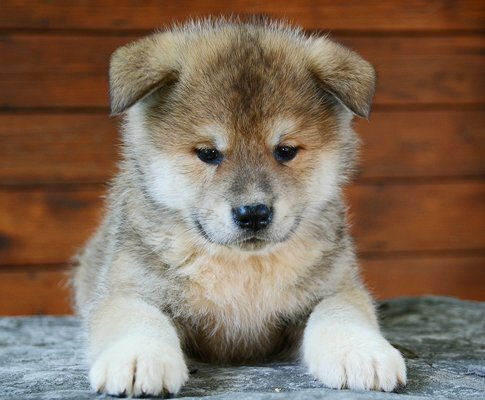 Originally the Akita Inu was bred to fight and hunt bears, it looks beautiful, but its not a dog for the novice dog owner. 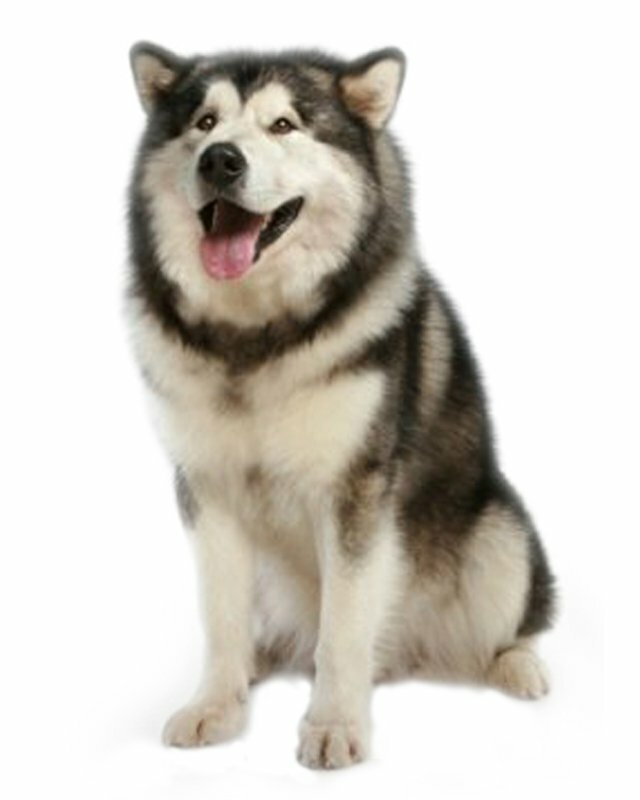 This breed is friendly, careful and very affectionate with the family but sometimes spontaneous. It needs to be with the family. It makes a good companion for older children from its own family but may not accept other children. Children must be taught to treat these dogs with kindness. This breed should definitely be supervised with other household pets and children. If teased, Akita’s may bite. 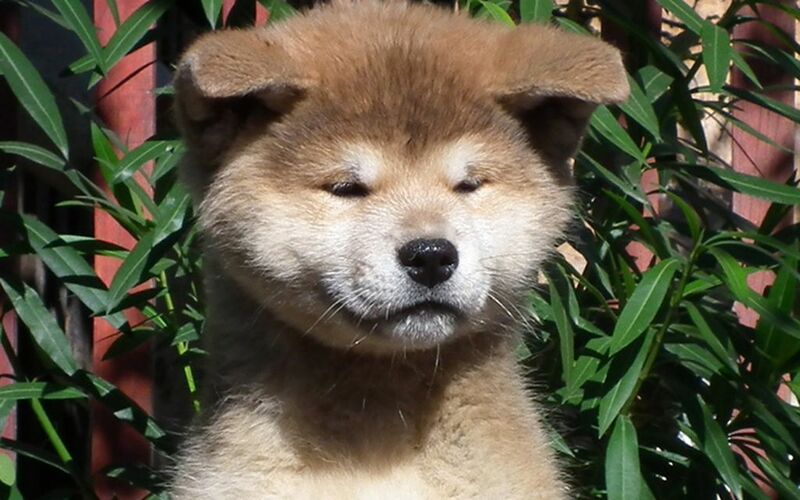 The Akita may become very aggressive to other dogs and animals. 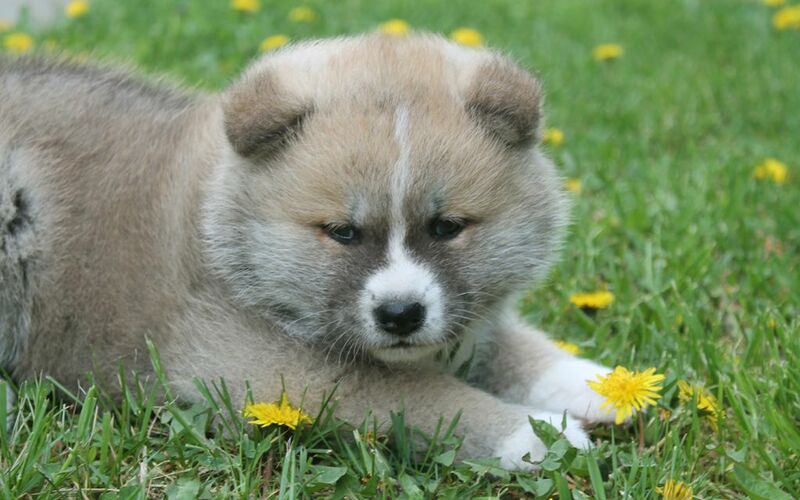 Early socialization and obedience is a must to be assured that the Akita will not become aggressive. It needs firm training as a puppy. As the Akita tends to get bored quickly its obedience training requires patience. 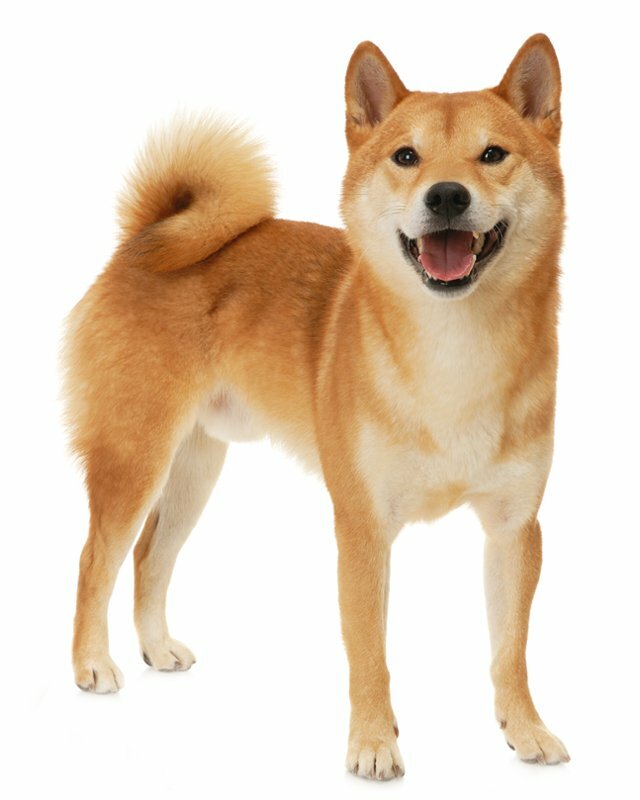 Akita is the cutest dog, generally people fall in love with the look of the dog but they tend to forget to investigate and understand the character and temperament of the breed. Coats can be of any color including pure white, red and sesame without clear borders. A black mask is forbidden. Its double coat is composed of a thick, soft undercoat and a harsh, waterproof outer coat. As bathing removes the natural waterproofing of the coat bathe only when absolutely necessary. 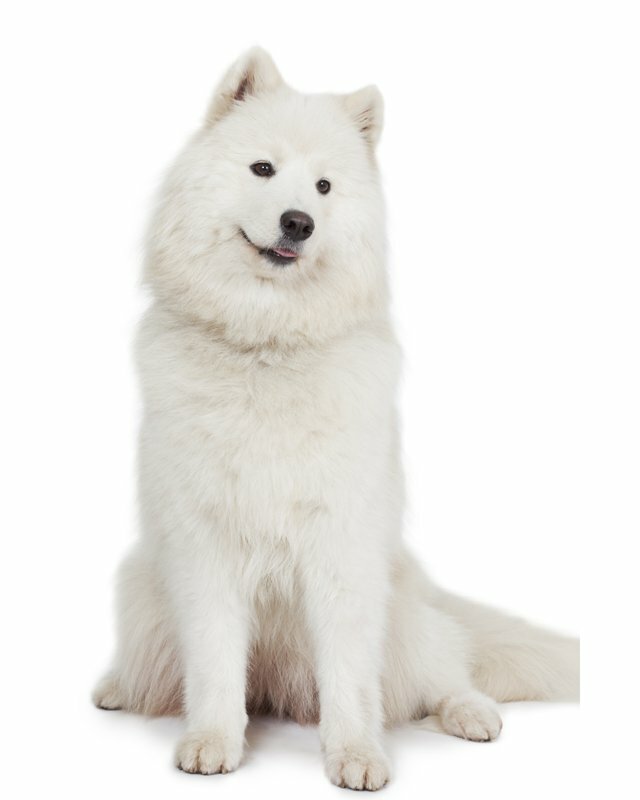 Akita sheds heavily twice a year. The breed has a number of potential eye complaints, including, sensitivity to vision problems, night blindness, and inward rolling lids. Choosing a puppy from well screened parents will reduce the chance of eye conditions. Hip dysplasia and anesthesia can also occur. 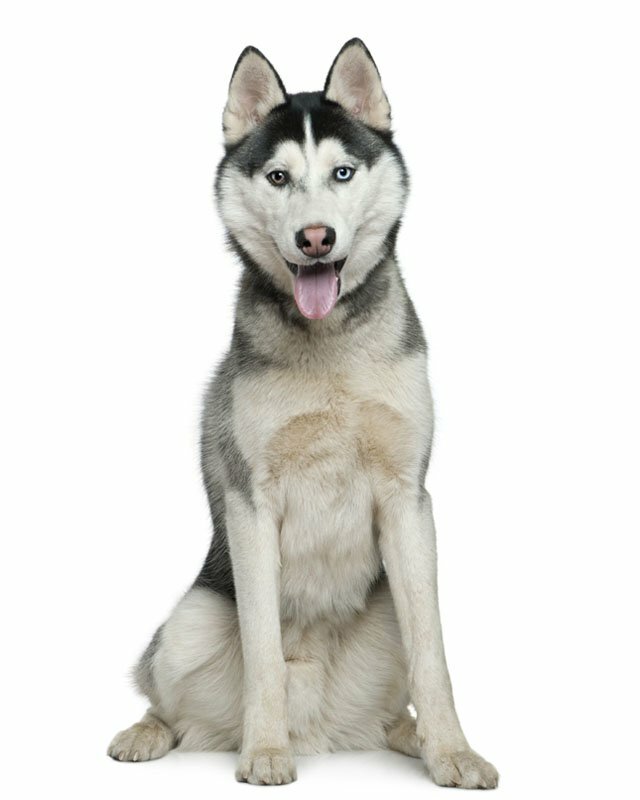 To help prevent the chance of hip dysplasia developing make sure your dog is on a healthy, well proportioned diet, and avoid excessive running and jumping while still a puppy as this can be hard on the developing joints. 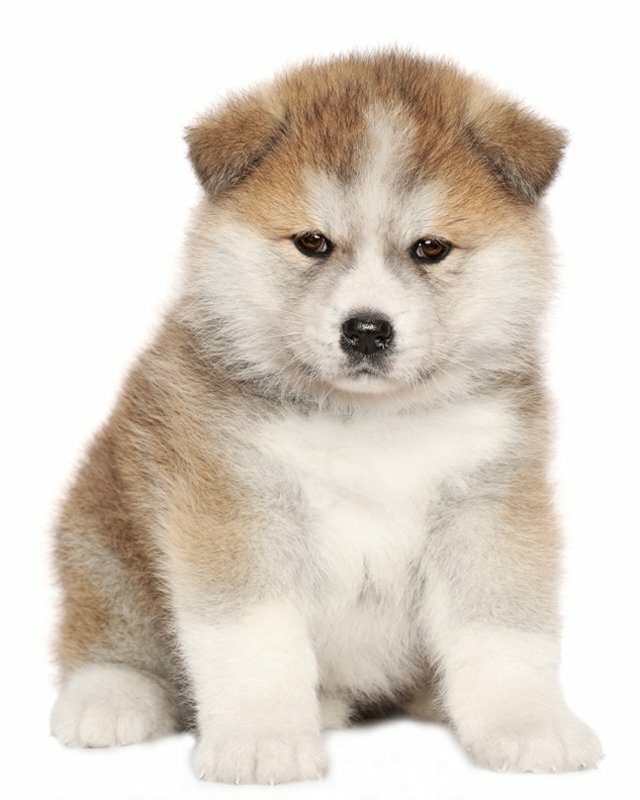 To minimize the risk of your Akita developing any hereditary health issues, you should buy an Akita puppy from a reputable Akita breeder. If sufficiently exercised Akita dogs will do okay in an apartment, otherwise they could become bored and disruptive. They would do best with a large yard. The Akita needs moderate but regular exercise to stay in shape. 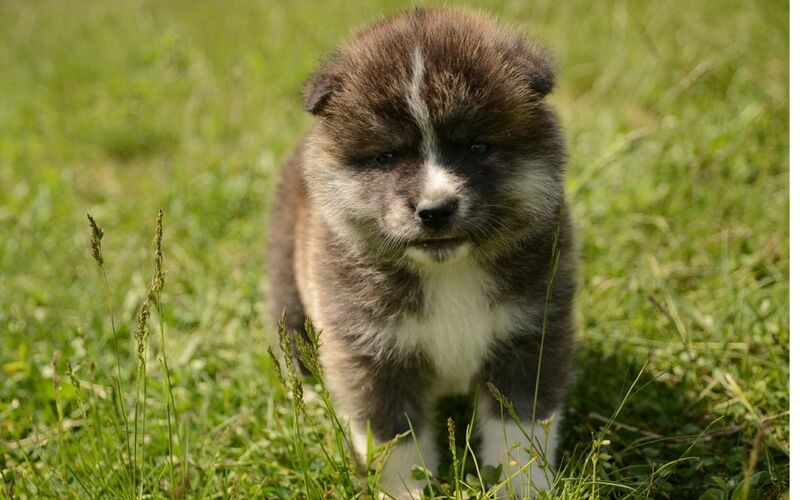 If you are looking for Akita Inu for sale, you've come to the perfect place! Our team of experts is here to help you choose a puppy that suits your lifestyle and meets your expectations. 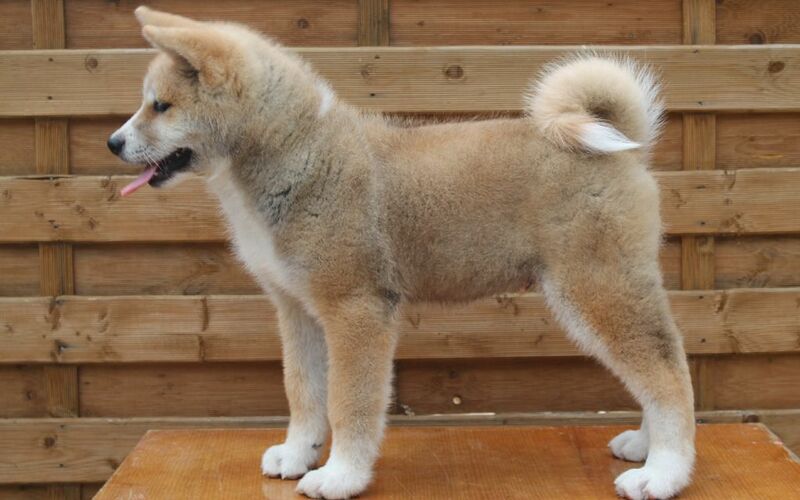 Our Akita Inu puppies are carefully selected and are bred by reputable breeders, who live up to our high standards.